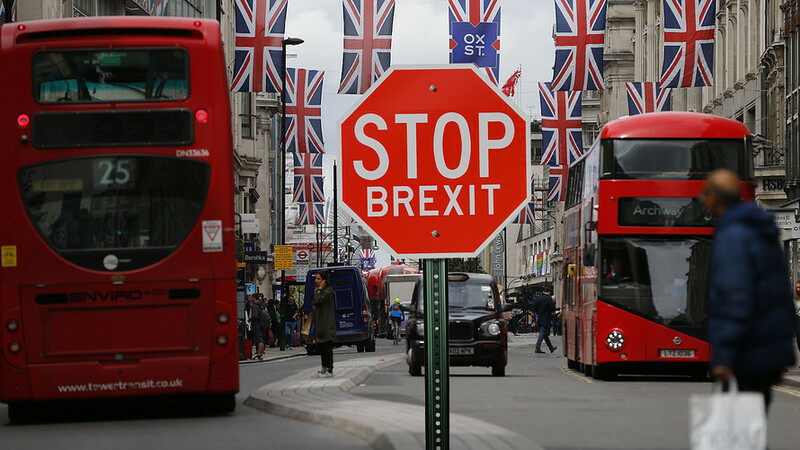 It was already clear in July that constitutionally, a non-binding referendum result needed an explicit parliamentary vote to trigger the formal Brexit process. The High Court in the UK agrees with that view – though the Supreme Court will still have to have its say. Brexit is not going to happen any time soon. It seems according to constitutional law experts that any government with any Prime Minister will need a vote in parliament to give authority to an Article 50 notification of intention to withdraw from the EU. Once triggered, withdrawal is inevitable and time-bound. But there is no majority in the current parliament for leaving. And it could be the best part of a year before such a vote in parliament can even be held. For any chance of such a vote being passed it will need a General Election fought on precisely such a question and that the party or parties in favour of an exit win such an election. But it is also possible that such a vote can not, in the reasonable future, be passed. …. ….. (It occurs to me that if Nicola Sturgeon wants to postpone, if not block, Brexit she should get the European Court of Justice to rule on whether or not a parliamentary vote is needed to give authority to a government to invoke Article 50. Even EU bureaucrats can not quibble with that). Now the High Court confirms that opinion. Parliament must vote on whether the UK can start the process of leaving the European Union, the High Court has ruled. This means the government cannot trigger Article 50 of the Lisbon Treaty – beginning formal discussions with the EU – on their own. Theresa May says the referendum – and existing ministerial powers – mean MPs do not need to vote, but campaigners called this unconstitutional. Ministers were given the go-ahead for a further hearing to take place at the Supreme Court, which is expected to take place before the end of the year. The prime minister has said she will activate Article 50, formally notifying the EU of the UK’s intention to leave, by the end of next March. This follows the UK’s decision to back Brexit in June’s referendum by a margin of 51.9% to 48.1%. The EU’s other 27 members have said negotiations about the terms of the UK’s exit – due to last two years – cannot begin until Article 50 has been invoked. Gina Miller, who brought the case, said outside the High Court that the government should make the “wise decision of not appealing”. To what extent the referendum would compel UK MP’s to follow the referendum results remains to be seen. Probably the government will not be quite brave enough to hold a free vote among MP’s. Whether the EU will shoot itself in the foot (again) or actually take on much overdue and much needed reform is perhaps even more interesting. I have a theory that while representative democracies used to, from time to time, throw up genuine leaders, the current trend of giving in to mass demonstrations and calling a referendum for any and all questions only allows space for sheep-like followers. The point in this case is whether a government is to be one of sheep or one of leaders? This entry was posted on November 3, 2016 at 1:29 pm and is filed under European Union, Politics, UK. You can follow any responses to this entry through the RSS 2.0 feed. Both comments and pings are currently closed.